What special problems arise for managers and employees of companies when they do business in countries and cultures other than their own? 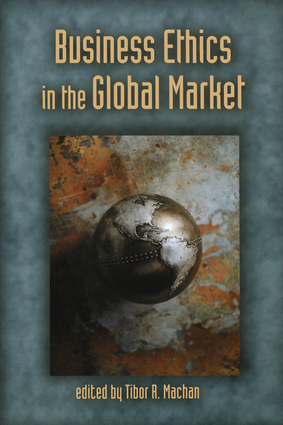 The essays in this book identify universal principles of business ethics and spell out minimal legal and ethical absolutes in foreign trade. They examine human rights and analyze the cross-cultural aspects of two sexual harassment cases filed against Mitsubishi in America. Tibor R. Machan is a Hoover research fellow, Professor Emeritus, Department of Philosophy, Auburn University, Alabama, and holds the R. C. Hoiles Endowed Chair in Business Ethics and Free Enterprise at the Argyros School of Business and Economics, Chapman University.